An easy way to look done up without going overboard on your “Mom Outfit”, is to do a basic makeup application with “a smokey eye”. This way you can run your errands… and look hot in that sweat suit you haven’t parted with… (which you should ditch by the way!). Listed below are the supplies and steps you need to be one hot mama. 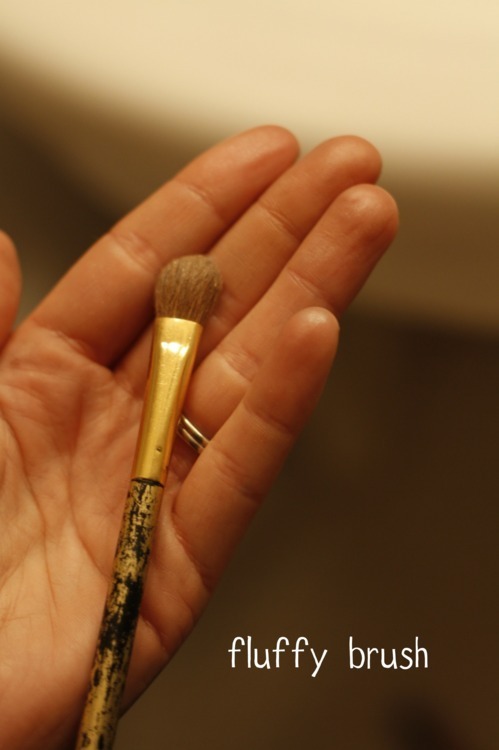 Make sure you have applied either a foundation or mineral powder before beginning. Apply Concealer to eyelid (if you do not apply this primer… your black will melt away throughout the day… creating a “hot Mess” instead of a HOT MOM! Take Crease brush and load up your brush with the black eyecolor. PAT… Yes pat… color to lid and crease. 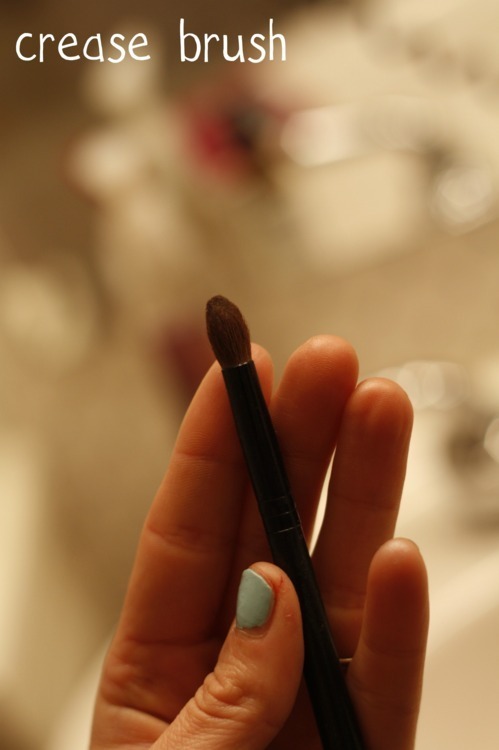 Dusting off extra color that may fall on your cheeks with a big brush. Take the point of the crease brush and use the remaining eyeshadow (without adding more of the black) and gently rub on to the lower eyelid as shown below…. creating a “smudge look”. 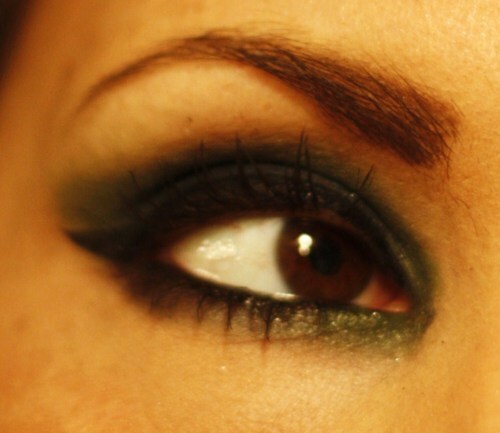 Dust off crease brush and then dip into Green Shadow… or whatever medium shade shadow you have for the crease…. Gently rub into crease where the black came up to, gradually blending upward. Apply Eyebrow Pencil to frame in all the hard work on your eye. Even if you don’t like eyebrow pencil… I would recommend at least using a very light pencil… it really frames your eyes… if you don’t believe me, go to your local MAC counter and give a try, you will be a believer after that! Apply Liquid Eyeliner to top lid as close as you can get to your eyelashes. 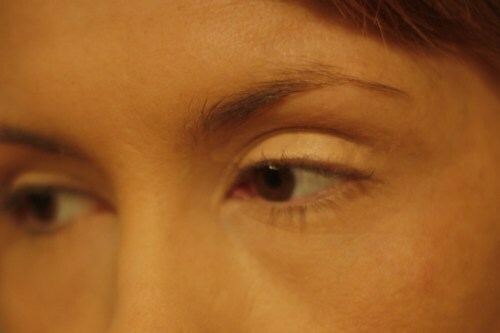 For more details of applying liquid eyeliner go to my previous Makeup Post and page down. 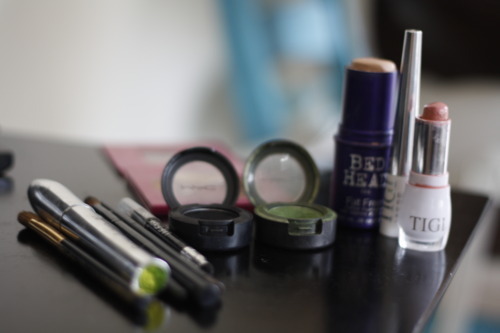 Step 7: Apply mascara and pale pink lipstick!